As well as the pair of new Nexus smartphones, featuring modern technology such as fingerprint readers, USB Type-C and its best ever cameras, Google unveiled new devices aimed at TV/video and music consumption, and a new premium tablet, at yesterday's event in San Francisco. As expected, the Google Chromecast was updated. A second generation device 'for TV' was unveiled, as was a new device 'for speakers'. Both retain the £30 price tag of the previous generation device. As with the previous version this device works by casting content from your device to the TV. Thus, for instance, your phone "is a simple, powerful remote" allowing you to select and watch anything from compatible mobile apps like YouTube and Chrome. Its updated hardware should mean faster streaming. It now uses three antennas, in the place of the single one in the original HDMI stick, and supports 5GHz Wi-Fi. The new Chromecast features a new design which "is easier to plug into TVs with crowded ports," thanks to a longer bendable HDMI connector emanating from the disc-shaped body of the device. 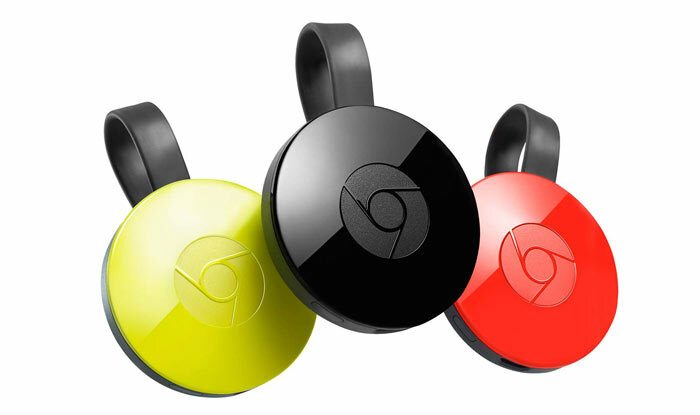 Chromecast for speakers, or Chromecast Audio, is a small disc shaped device which plugs into your speakers/audio system to provide streaming music over Wi-Fi. It can be set up with a multitude of devices as the controller so you can cast your favourite tunes to your audio systems around your house. 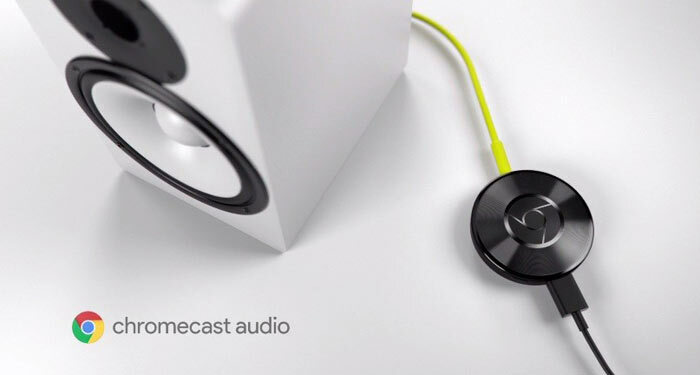 Google says that iOS, Android, Mac and Windows are all supported for the controlling the Chromecast Audio. The audio streaming device supports connection to stereo RCA ports, 3.5mm jack or optical port. A 3.5mm cable is in the box. Google says that there are over 30 million music tracks on services such as Google Play Music, Deezer & Spotify which can be cast via the new device. As you might guess from its name, the Google Pixel C shares the design and high-end aspirations of its Pixel Chromebooks. This is a 10.2-inch device which "brings together the benefits of a full-size keyboard with the portability of a tablet," says Google. After Apple going 'surfacy' with its iPad Pro earlier this month we are now seeing Google give the 2-in-1 market a shot. 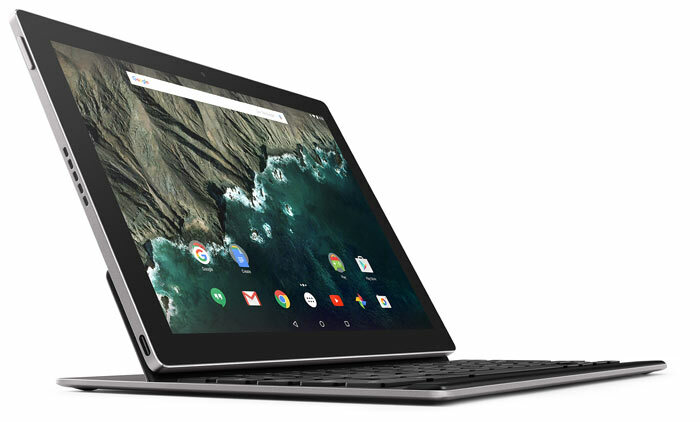 The Pixel C a premium device, hewn from aluminium with a keyboard that attaches magnetically. The 10.2-inch screen offers a resolution of 2560x1800 pixels, that's about 310ppi, with a brightness of 500 nits. Like the new Nexus mobiles the Pixel C offers a USB Type-C connector. Under the hood this Android Marshmallow tablet uses the Nvidia Tegra X1 SoC which packs a quad-core CPU and Maxwell GPU. It has 3GB of LPDDR4 RAM to back up the processor and provide breathing room for your OS and apps. Google is pricing the new tablet at $499 for the 32GB version and $599 for the 64GB version. The keyboard accessory will be priced at $149. It is scheduled to become available "in time for the holidays". I'm looking forward to the Google Photos app finally getting Chromecast support.. sounded like they were going to roll that out in the coming weeks. Was on holiday with my girlfriend and her family and the villa we stayed in had a bluetooth speaker and we spent the week streaming music too it. He was thoroughly impressed and said he was going to replace his old hifi at home with something like it. I would like to see a Chromecast audio for transmitting audio rather than/as well as just receiving it. I've got a wall-mounted TV (with a chromecast attached) and don't want to have a cable running to my sonos speakers, so I can cast a movie to the screen but can't cast the audio to the sonos speakers. Another cool application would be for a dj setup, being able to turn the mixer into a castable audio source, then not having to use cables to the speakers.